some very happy looking characters. Forgot to post this on Monday. When I was at the Rilakkuma store I spotted this New Year decoration featuring the three main characters. Looks like the are ready for the New Year of the Tiger, 2010. Found this at a convenience store, but couldn't catch the right angle with the iPhone to get a good shot. The staff at the Rilakkuma Store were really helpful, and when I asked if photos were ok, they said “sure, go ahead”. What do you have planned for the Year of the Tiger, 2010? 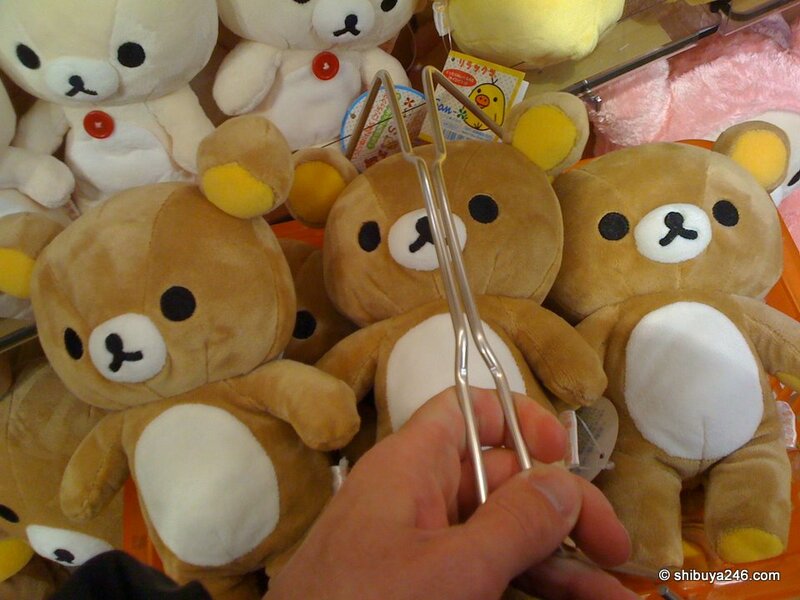 Going to start a rilakkuma breeding farm??? 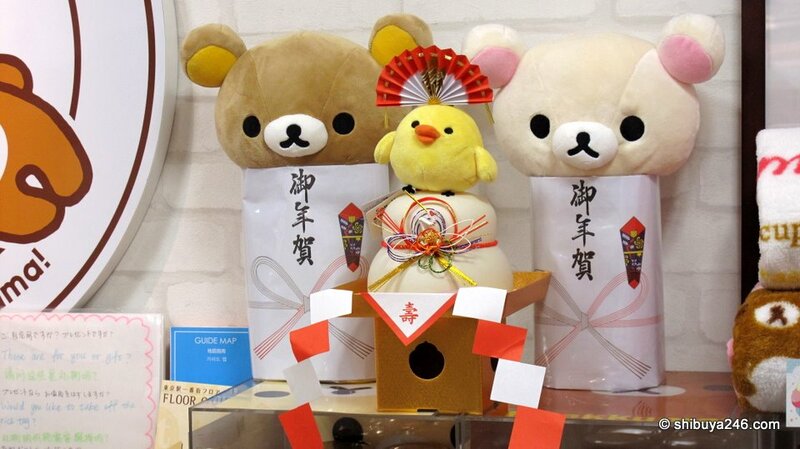 RT @tweetmeme Rilakkuma 2010, Japan character goods | Shibuya246 http://ow.ly/1mJv5e Wish my name was on one of those Rilakkumas. This article goes along w/a previous post you did Rilakkuma Year of Tiger, 2010. It’s good that you’ve built up a rapport w/this store for possible future articles, maybe a live stream next time? What type of rilakkuma product is in the photo? I couldn”t get the comment feature to work for these photos. 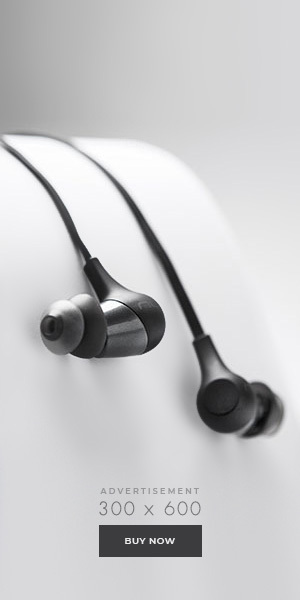 Will have to see when B-Day rolls around this month if have extra $$. not holdin my breath though. Everyone that’s ordered a box will sure appreciate all the hard work you’ve done. It might be New Year already, but Christmas might be coming a bit late this year to some of those who really wish for a Rilakkuma 😉 Boxes all went out yesterday. A small package was seen heading to TX as well. Not sure if this is the right place to post this: Since you redesigned the site, all the blog posts appear on Google Reader as snippets only, and are not displayed in their entirety. Can this be fixed? WOW. That’s a whole lot of Rilakkuma bears you’ve got there! It was a lot 😉 I now have just one beside my computer. I want to have all for myself<3<3<3.